The 2015 Toyota Camry is one of the most popular vehicles in our inventory, and for good reason! It is agile, sporty, efficient and easy to handle no matter what is the task at hand. Drivers also love the 2015 Toyota Camry because of its long-standing reputation of being a reliable, affordable vehicle with enough available advanced technology features to please even the toughest of critics. Speaking of critics, however, some drivers have compared the 2015 Toyota Camry with others, for example the 2015 Toyota Camry vs 2015 Mazda 6, to see which vehicle would be the better value. Not surprisingly (at least to us! ), the Camry offered more features and a better value for the price. Both vehicles are reliable, sporty and plenty easy to drive, but when it comes to getting more bang for your buck, you’re going to want to go with the Camry. Trust us on this one. It has a ton of standard features including automatic dual-zone front air conditioning and a rearview backup camera, it has a larger cargo and passenger capacity, and it has LED daytime running lights and front fog lights where the Mazda6 has none. The windows and seats are also power-operated, making it easy to get in and out. For unbelievable comfort and outstanding technology for an affordable price, check out the 2015 Toyota Camry. View our inventory by clicking on the button below! Like we stated earlier, the 2015 Toyota Camry is quite the catch. Let’s talk about those features, though, some more. Shall we? We know that’s what you really want to know! 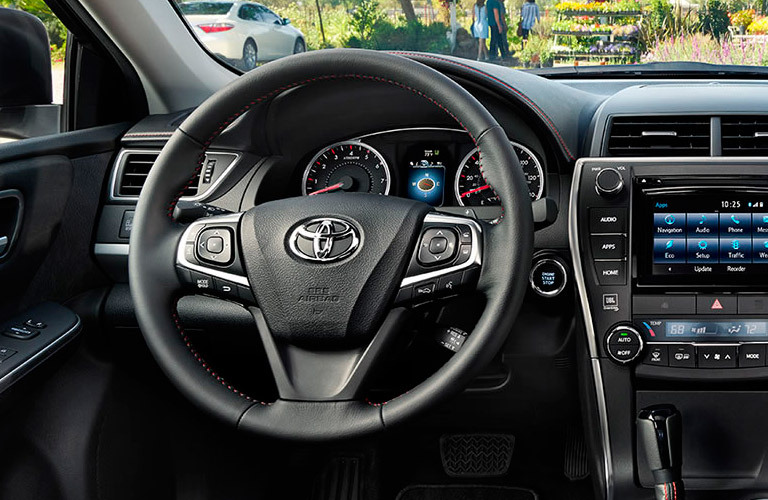 The 2015 Toyota Camry Brampton ON comes standard with a compass, an integrated navigation system with voice-activated audio controls, simulated suede seats, a leather steering wheel, a cargo net and a locking glove box. These are all features that you can find in luxury cars for a potentially high price, but you can also find them in the Camry. For safety, the 2015 Camry comes with multiple airbags including a passenger front-impact, an overhead airbag and a front passenger airbag occupancy sensor. Traction control and electronic stability control are standard as well, which contribute to the Camry’s elite safety ratings. 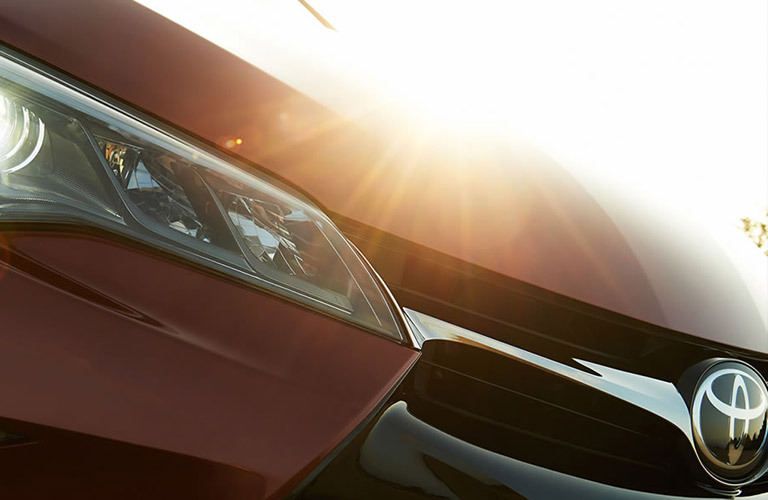 Test drive the 2015 Toyota Camry today at Attrell Toyota!